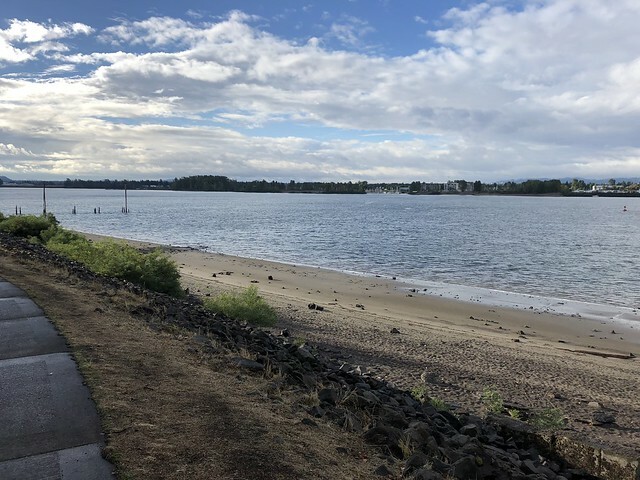 Vancouver, Washington has had some challenges in the not-so-distant past that have been disappointing for runners, to say the least. 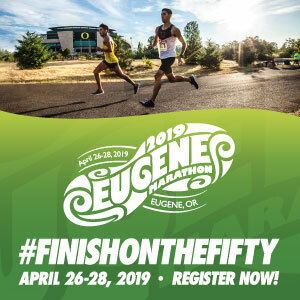 Luckily the city has a new marathon, half, and 5K event hosted by Why Racing Events, and Run Oregon was there to check it out. We are happy to report back that they delivered and it’s an event to calendar for 2019 for sure! The inaugural Appletree races were held on September 15th (5K) and 16th (full and half) and were nearly flawless from the pre-race instructions, swag bags, scenic course, and after party! The marathon is a Boston Qualifier and the day was perfect for it – gray and cool, sometimes rainy; perfect PR conditions! 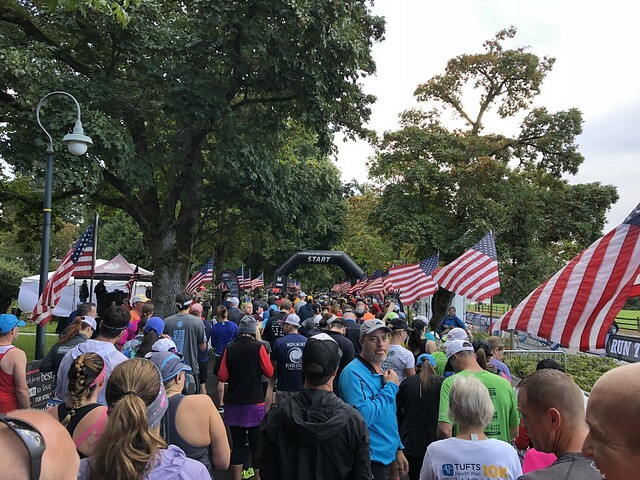 I was there for the half marathon, which started at 8 AM at the historic Fort Vancouver on the lawn of the Eatery at the Grant House. I easily found parking, waited no time at all to pick up my packet and was instantly surprised at the cool swag we were given, ran it back to my car (though bag check was available), and stood in an incredibly long port-a-potty line until just a few moments before the gun went off. It was a sizable crowd but the course started with a cruise-y downhill, so finding a place in the pack was quite easy. The course had an incredible amount of water stations, cheer squads, and motivational signs along the route, it was easy to keep smiling! We ran past the garden, past Pearson Air Museum, along the stockade, past the Old Apple Tree Park, then along the Greenway Trail with a beautiful view of the Columbia, and eventually through Marine and Wintler Parks before turning around and going back, crossing under I-5 and running along the Veterans of Foreign Wars Memorial Plaza, through downtown, then back to the finish….WHEW! It was wonderfully scenic, well marked, extraordinarily supportive, and generally just a lot of fun! The after party at this event was easily one of the best I’ve ever been to. I crossed the finish line and was given my medal, walked about 15 feet and had a chair to sit in. There were dozens of chairs available – this never happens! If I had an energy gel for every race finish where I had to sit on the ground, I could fuel my next 50 miler. There was also an incredible amount of food; whatever you fancied. Pulled pork sandwiches, bagels, fruit, cookies, paired with your beverage of choice: bottled water, Deschutes Brewery beer, cider, kombucha, or wander a bit and find coolers full of Red Bull, vendors with other energy drinks, and I’m quite certain a full on Farmer’s Market booth. There were massage tables, and more swag to fill your bag! I embarrassingly had so many goodies in my arms that I dropped a drink can on the ground and sprayed myself! After hanging out for a bit, it was time to meet my friend for brunch so I enjoyed the walk along Officer’s Row back to my car. Another 13.1 was done and was pleased to have been part of Appletree’s inaugural day! Arrive early; parking is far away! It was a good 10-12 minute walk to the start/finish from the parking at Hudson’s Bay High School. The water stations were plentiful, but they had only water and Hammer gels. If you have specific nutritional needs outside of that, plan to bring your own! There is one small section that is gravel – it’s early on and is short, but was unexpected! 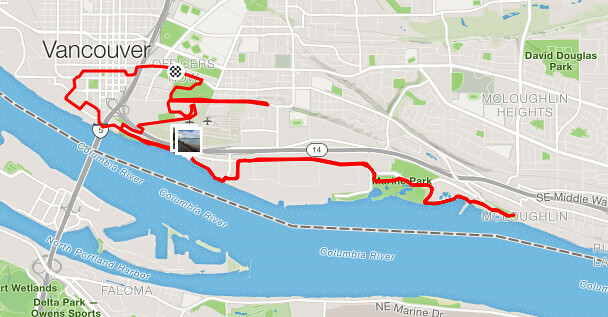 It’s “fast and flat”, but my Strava still says there was 364 feet of elevation gain for the half marathon. The swag bags were reusable shopping bags! I love when races do this! The race t-shirts are nice and actually have the year on them! It’s a great way to show off the accomplishment – it’s a race tee I’ll actually want to wear! It is a long-sleeve; perfect heading into the fall running season. The post-race festivities were a lot of fun and I wish I had allowed myself more time to hang out afterward (but I did struggle to find conveniently located garbage bins!). 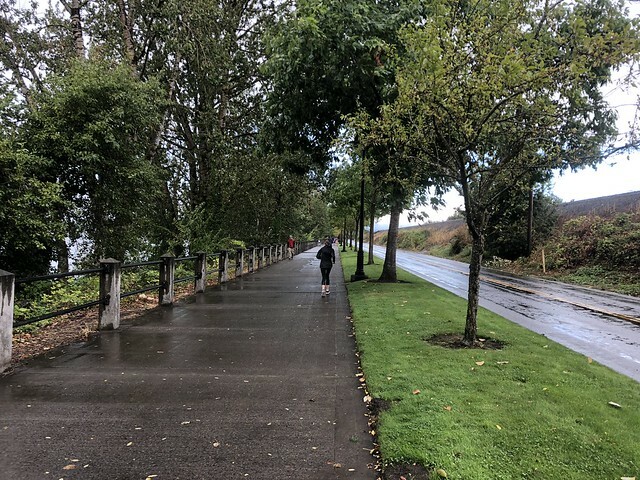 Now that the new Vancouver Waterfront is open, the route may change up a bit to include some sections of that, but I hope the route through the parks by the river remain; the views were awesome and sprinkling in some green space was a really nice way to keep things interesting! 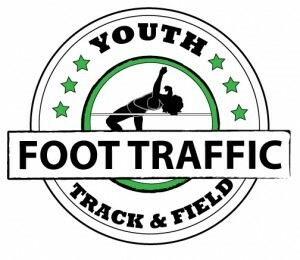 Mark your calendar for 9/14-15, 2019, start a BQ training plan, and take in this event. There’s not much to improve on, but if they find something, it’ll go from awesome to epic!